Just a wee reminder that this is coming up next Tuesday. It’s for a good cause and everyone gets a 20% discount off the Recommended Retail Price on the night! 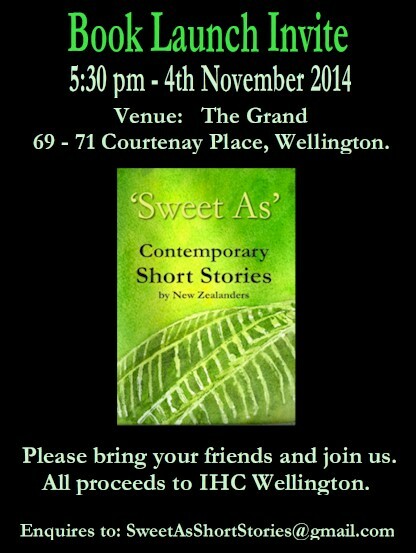 ‘Sweet as’ is a typically New Zealand term meaning okay, cool, better than good, or even awesome. However, the stories in this collection are not all ‘sweet’ in the traditional sense. New Zealand is a country of light — both strong and bush-dappled — but it also has a dark side. These short stories speak to us of the diverse world we live in. They take us on a journey, or offer a glimpse into another’s life. Some show the struggles, tough questions and challenging situations people face. Some stories are sweet or humorous, while others are quirky or just plain entertaining. They provide us with a snapshot of life in New Zealand and how New Zealanders experience life overseas. For this collection, we sought contributions from New Zealand citizens or permanent residents. This gives a breadth of story lines — ‘sweet as’ in their variety and quality. Our aim was to continue one of New Zealand’s finest traditions: its strong culture of reading and writing, especially in the area of short fiction. Tales for Canterbury e-book live now! 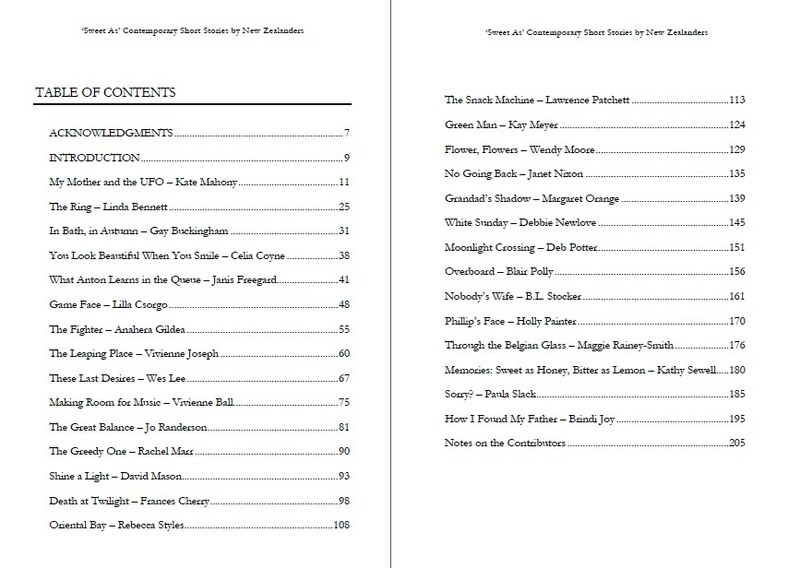 The e-book version of Tales for Canterbury has now been released, with copies available from Random Static Press. A paperback version will be released soon. I’m very pleased to have a story in it (The Magician). 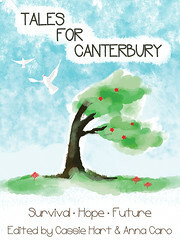 Tales for Canterbury is an anthology of 34 short stories loosely themed around survival, hope and future. All profits will be donated to the Red Cross Earthquake Appeal. It features stories by RJ Astruc, Philippa Ballantine, Jesse Bullington, Anna Caro, Cat Connor, Brenda Cooper, Debbie Cowens, Matt Cowens, Merrilee Faber, AJ Fitzwater, Janis Freegard, Neil Gaiman, Cassie Hart, A.M. Harte, Karen Healey, Leigh K Hunt, Lynne Jamneck, Patty Jansen, Gwyneth Jones, Tim Jones, Kim Koning, Jay Lake, Helen Lowe, Kate Mahony, Tina Makereti, Juliet Marillier, Angel Leigh McCoy, Linda Niccol, Ripley Patton, Simon Petrie, Grant Stone, Jeff Vandermeer, Mary Victoria and Sean Williams. Pre-orders are now available from Random Static Press. Many thanks to editors Anna Caro and Cassie Hart who made it all happen. So far, they’ve raised over $2,000 for Christchurch.